We may be baby hungry but we are definitely puppy hungry! We've been talking about getting a dog for SO long and lately those talks have been EVERY day. I may have thrown an adult size tantrum begging Mike for one today. 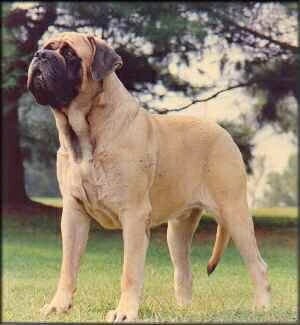 We want a mastiff but this little puppy will turn into this beautiful beast! Oh my my I need this dog! This is a Yeck sized dog. So beautiful but sadly, a big puppy like this won't fit in our little apartment and our landlord won't say yes. But one day, we'll have a big puppy and he'll be the best!